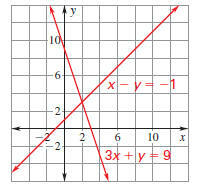 Use the graph to solve the system. Then check your solution algebraically. The lines appear to intersect at the point (2,-1). Check Substitute 2 for x and -1 for y in each equation. equation, it is a solution of the linear system. 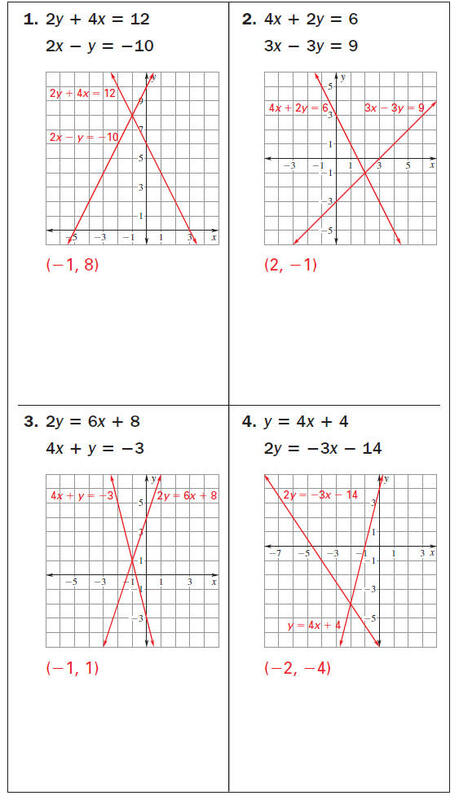 write each equation in slope - intercept form . appear to intersect at ( 2 , 3 ). linear system, it is a solution of the linear system. 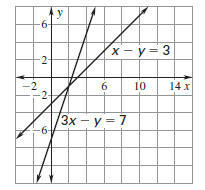 Guided Practice Solve the linear system by graphing.